Converting a VCF to a CSV can be done in a couple of different ways. For instance we can use Mircrosoft Excel and the help of a VBA script to do the conversion. It's not the most straightforward way but it works. The simplest way however is just using online converters. Many sites of this nature exits, however I wasn't aware Google Contacts supported this conversion only after I used it to import my Outlook.com contacts into it. 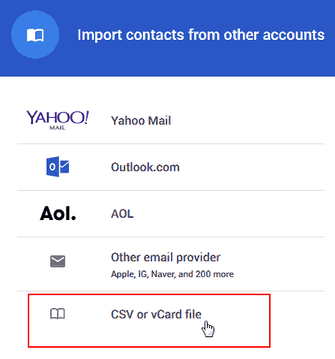 Google Contacts supports both importing and exportings your accounts contacts to VCFs or CSVs. The contacts can be exported to either Google CSV format meant for importing into Google Accounts or Outlook CSV format meant for importing into Microsoft Outlook and other applications. Like most other Google services, Contacts is linked to ones Google (Gmail) account. So if you already have a Google account you're good to go, however note that the contacts in the VCF will be available to Gmail and other Google apps (including synced to any Android device linked to that account) after importing. To avoid this, you can delete the contacts after the conversion is done. Also there are chances that if you've a Google account then it's probable that it has existing contacts and perhaps you don't want those to get mixed up with those in the VCF. Fortunately there are a couple of ways we can prevent this from happening. More on this later. Of course if you don't want to go through the trouble of all this you can opt to just create a "disposable" Gmail account to use for this task. 1. Head over to the Google Contacts page. 2. Sign in to your Google (Gmail) account or create a new one. 3. On the menu, click on More then Import. That should open a small window with Accounts to import contacts from. 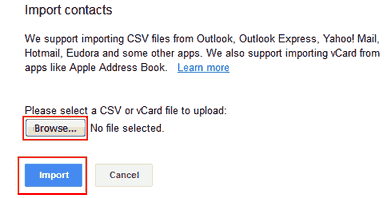 Select the last option: CSV or vCard. 4. At the moment you'll have to use the Old Version of the app to import the contacts. So switch to it then at the top click the More button and choose Import again. Click on the Browse button then on your computer/device select the VCF you wish to be converted. Next click on the Import button. If the import is successful you should be able to view the contacts contained in the VCF in Google Contact's window. Now we only need to export it to a CSV. 1. So go to menu, click the More option again but this time click Export (New Version). In the Old Version of the app, at the top click the More button and choose Export. 2. An Export contacts window will open at this point. At the top where it asks which contacts you want to export select All Contacts. Choosing All Contacts will export all the contacts that are available, including any that were existing prior to importing the VCF. 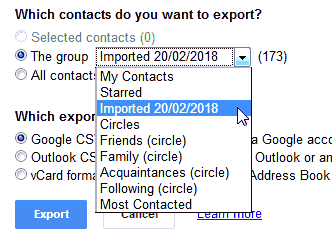 Google Contacts automatically creates a new label for the imported contacts (Imported *date*). 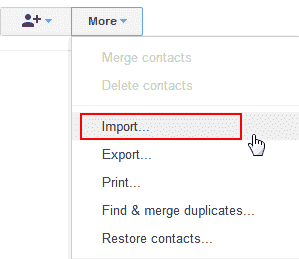 You can export only the imported contacts by choosing The Group then selecting this label. 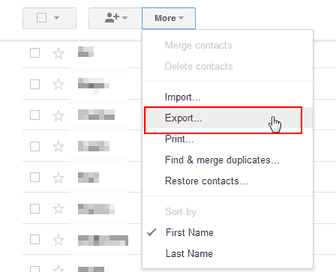 If you just want to export specific contacts to the CSV instead of all, go back and first select only the contacts you want before choosing the export button. 3. Below under which format to export select the CSV format you wish to use then click on the Export button. Your CSV download should then begin in a few seconds. And just like that we're done. If you used a "disposable" account for this, you may want to delete the contacts after this or perhaps the whole Google account. I hope you found this useful.